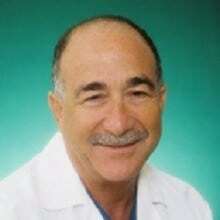 Dr. Jerrold Glassman received his medical degree from University of Medicine & Dentistry of New Jersey in 1976. He then completed an Internship, Residency, and a Cardiovascular Disease Fellowship at Scripps Mercy Hospital, San Diego. Dr. Glassman specializes in Cardiology and helps patients with health concerns such as congestive heart failure and more. He is also an assistant clinical professor of medicine at the University of California, San Diego (UCSD) School of Medicine. Dr. Jerrold Glassma is certified by the American Board of Internal Medicine in Interventional Cardiology, Cardiovascular Disease, and Internal Medicine.